BEER AND OYSTERS GO TOGETHER FAMOUSLY. Or do they? The lore of a deep union is so established it seems nothing can unseat it. 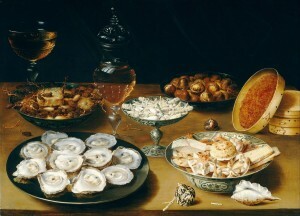 In the striking image above, a Flemish master, from a seafaring and brewing country, chose to portray the briny comestible with wine. (To be fair, the image does obviously reflect a table of the elite class. Prized as beer was, and is, in Flanders, its depiction in a table of this type would probably have been incongruous to say the least). Whence though the old association of beer and oyster? Both were commonplaces in Victorian England, both at the time popular foods too, yet many things common then in cuisine aren’t associated as pairings. Beer and french fried potatoes seem a more natural combination, and are in North America, but not in England particularly, even though “chips” started in the London East End. Michael Jackson observed that fish and chips suits a cup of tea more than beer. The reason beer and oysters have an association IMO is that oyster shell’s lime carbonate was once used to neutralize acidity, i.e., prevent sourness in beer before the era of refrigeration and sterile plants. The shell was cleaned, ground up and added to the barrels. 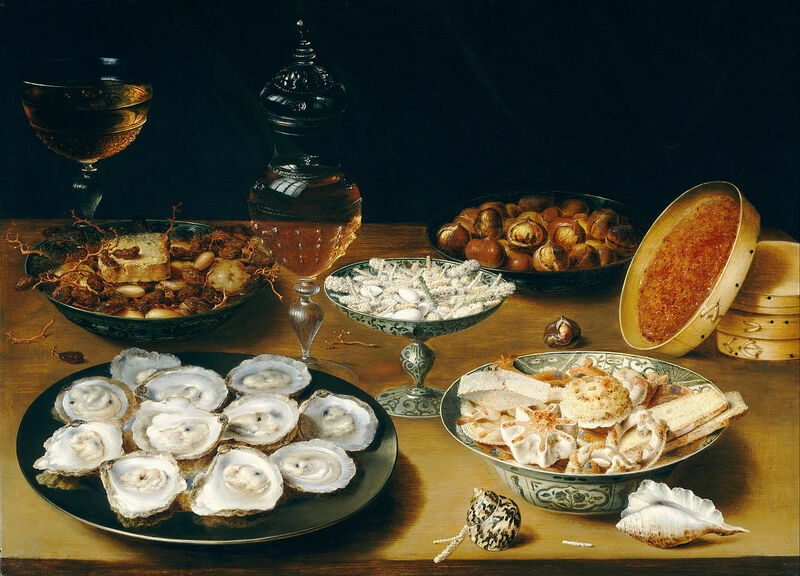 This practice in time (surely) made people associate beer and the seafood in a culinary sense. Some brewers, especially those on the seaside or near ports, probably had ground their own oyster shell from whole oysters. Eating them with beer on the spot would have been a way to get some nutrition and source the raw material needed for their vats. And it must have spread from there. Once can envision that brewers, probably forgetting the original purpose of the oyster, later added its meat or concentrate to the beer to remember the old association in brewing. Even though oyster itself wasn’t added originally, this has a kind of logic since even when just the shells were used some briny or fishy taste probably got in and some people got used to it. 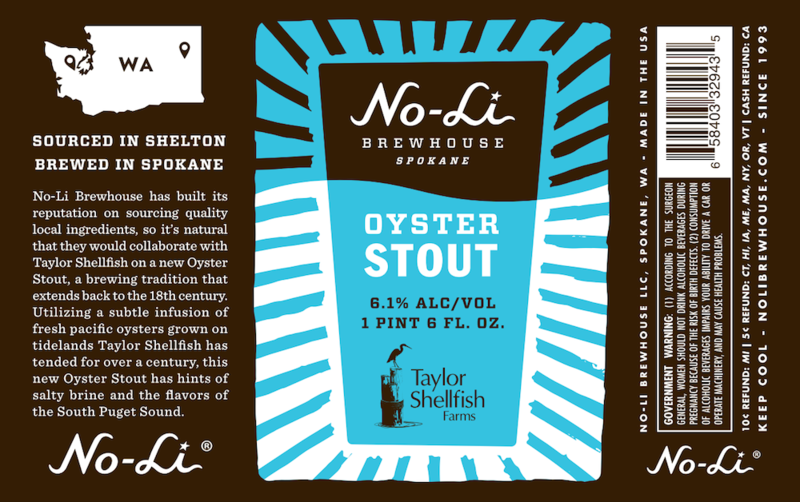 Today, craft brewers have revived the “oyster stout” tradition and I’m good with it when, as almost invariably, you can’t taste fish in the beer. At most a very light salty taste seems characteristic, which can enhance beer taste or doesn’t seem to hurt it at any rate. 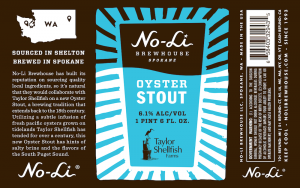 It should be said too some “oyster stout” does not employ any oyster at all: the idea is simply that the beer will accompany well the seafood. “It remains … with the drinker whether he prefers this new bitterish taste to that of the acetous acid which would otherwise predominate”. It seems that as the lime carbonate in the shell did its good work, a new taste arose which in Booth’s view meant the cure was worse than the malady – or at least as bad. This 1850’s American Family Encyclopedia advises oyster shell to this same end or ground egg shells or marble, as they too contain the vital calcium carbonate. Given Belgian-style and other “sours” and “wilds” are all the rage in craft brewing these days, a brewer wanting to make hay of the old connection between beer and oysters should obtain ground oyster shell and see if it works a change on the vinegary taste. It sounds, according to Booth, like a new strange bitterish taste will arise, but craft beer is all about new and sometimes strange tastes. I hope someone tries this. *Image in public domain. Source used is here. ** Image taken from Internet which indicates production brewery is the source.